Almost everyone thinks it was a sad day when the State Government made the final decision to uproot the rail lines in rural parts of south-east Queensland. 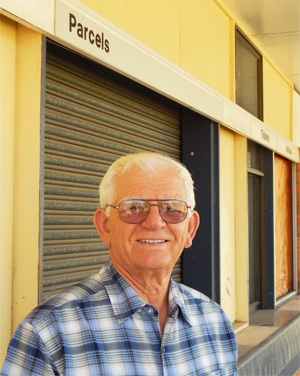 However, nobody agrees more than long-term South Burnett resident Keith Bayntun who served some 40 years as an employee of Queensland Rail, progressing from fettler to assistant stationmaster at Wondai and Kingaroy. Keith and wife Esme have lived in Wondai since 1975 but are now making plans to move closer to Toowoomba for health reasons. Born at Biggenden, Keith’s first job was with the cheese factory at Murgon. He helped to make mild and matured varieties which were sold in circular blocks ranging from five pounds to a giant 80 pounder. The factory won national awards for its products over many years. The building still stands at the southern end of Macalister Street, where it’s now used by Clovely Estate to produce wines. Keith’s railway career began with concrete construction, working mainly on the section between Murgon and Manyung. In the earlier 1960s, Keith met and married the former Esme Schafferius. The couple moved to Garbutt in North Queensland where Keith continued to work on the railways, making sure the lines were safe at night for the long distance passenger trains. Keith and Esme then moved back to southern Queensland. He witnessed the beginning of the end of the local rail lines when the Caboolture-Kilcoy line closed in 1964. Then Transport Minister Sir Gordon Chalk was anxious to see an upsurge in road transport. 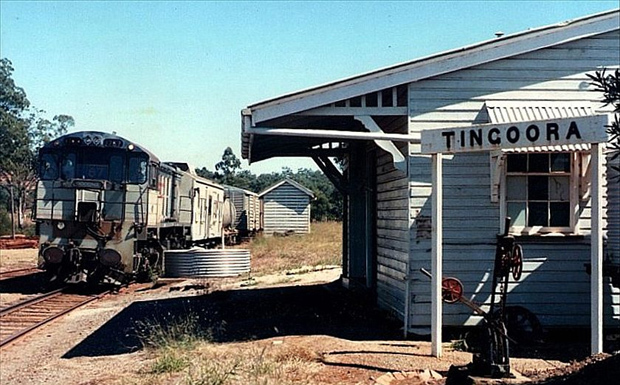 Years later, Member for Wide Warren Truss – then Shadow Minister for Transport – expressed disgust when the mothballed Kingaroy-Theebine railway line was finally officially closed in 2009. Keith’s fettler work took him to Yandina in 1968, where his employment changed to locomotive labour after the emergence of diesel engines. He took exams and sought a change in position to porter; then he became a night officer at the former station of Netherby near Tiaro. Keith also did relief work at stations between Gympie and Bundaberg before transferring to the South Burnett as assistant stationmaster at Wondai. When Wondai closed, he then served five years at Kingaroy until his retirement in 1995. 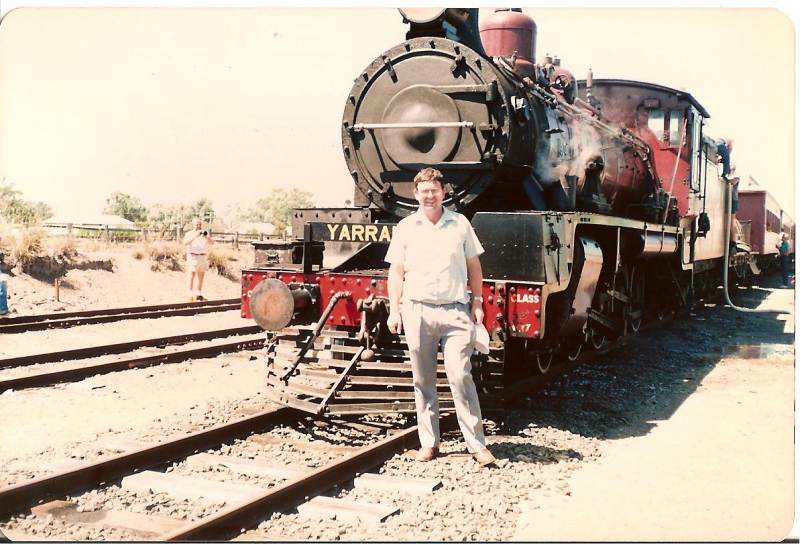 During his four decades of employment with Queensland railways, Keith witnessed passenger trains, then a combination of passenger and goods carriages followed by the demise of passenger transport to just goods trains. Younger South Burnett residents would be unaware of what the total train transport comprised in the region. There was the main line from Theebine (north of Gympie) to Kingaroy, which opened in 1904. This was extended to Nanango in 1911 with a steam engine train service each Monday, Wednesday and Friday stopping at sidings along the way which included Edenvale, Hornley, Coolabunia, Hodgleigh and Darlil. This line was closed in 1964. 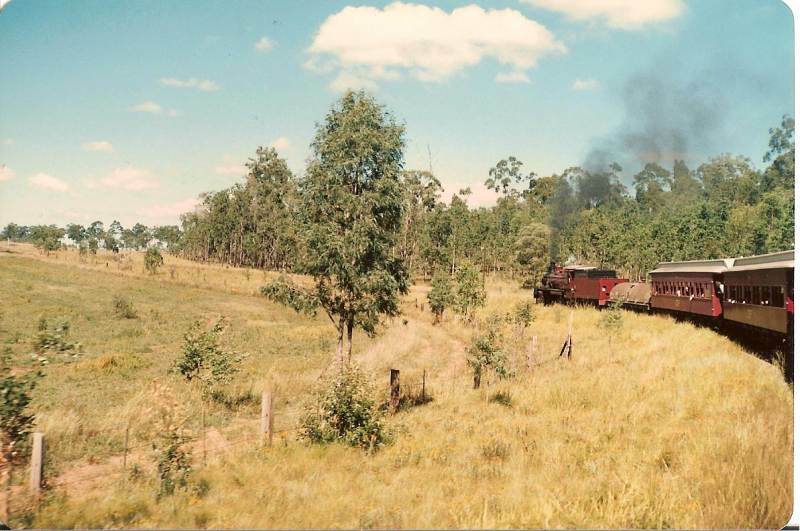 On Tuesdays and Thursdays, a second branch line service negotiated a rail track to Tarong with stops at Taabinga Village, Boonene, Goodger, Brooklands and Archikoora. A branch line was also developed from Murgon to Proston via Byee, Windera and Hivesville. 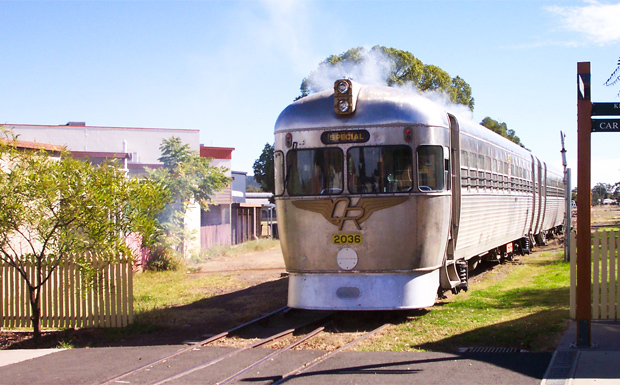 A rail motor service ran between Maryborough and Kingaroy three times weekly from 1929 to 1967. 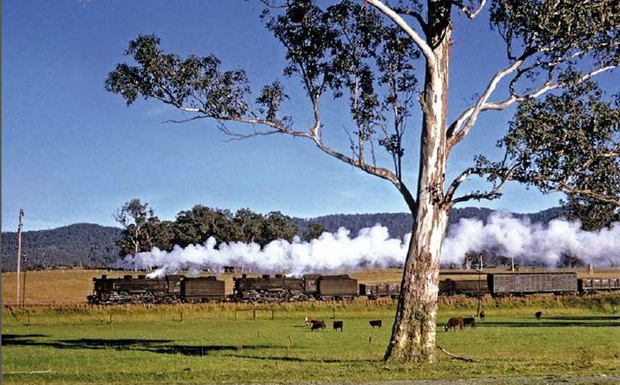 Throughout World War II, there was also a regular daily rail motor service from Ipswich to Yarraman which carried passengers up until 1997. There was always lots of discussion about why the railheads at Nanango, Yarraman and Cooyar – which were only 20km apart – were never linked. It seems ridiculous that Yarraman and Nanango were never connected, which would have provided a circular link from the South Burnett to every major metropolitan city and town in south-east Queensland. Construction had been earmarked to continue the Brisbane Valley line from Yarraman to Nanango, however thus was interrupted by the outbreak of World War I.
Keith, who knows the rail freight situation better than many of the authorities and parliamentary leaders, says the decision to pull up the rail lines was tragic because so more freight could be carried by rail. He describes rail as the “forgotten hero” of rural Queensland.
" He describes rail as the “forgotten hero” of rural Queensland. " 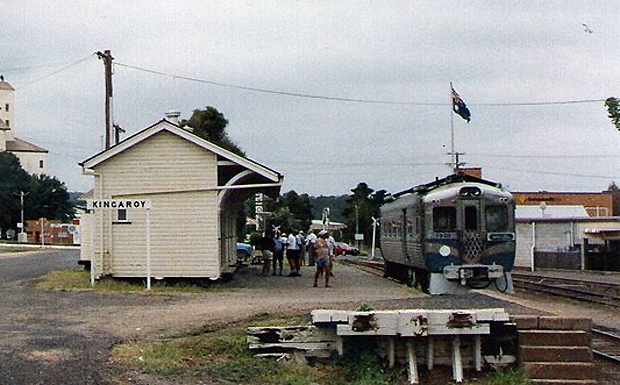 Footnote: Last regular railmotor to Yarraman was in 1967. The motor to Toogoolawah survived till 93. I was on the second last train to Yarraman in 1986.